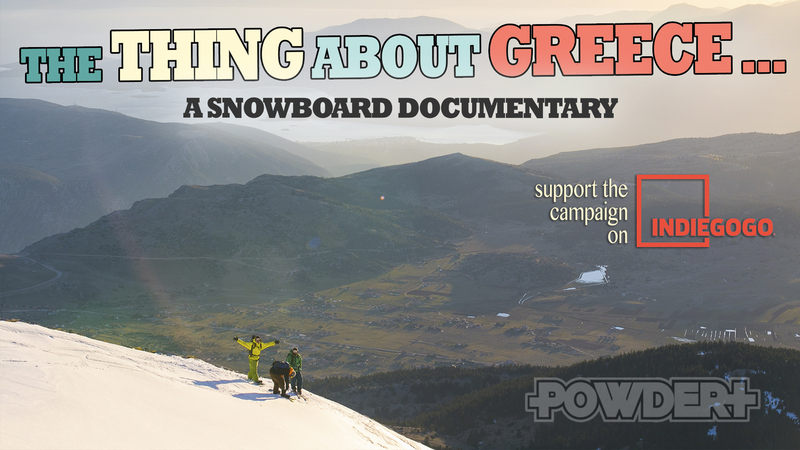 The thing about Greece ist eine Crowdfunding-Kampagne, um Wintersport in Griechenland zu dokumentieren. Freeride in Griechenland klingt erstmal etwas schräg. Eine Schnapsidee, oder lohnt es sich einmal genauer hinzuschauen? Ouzo, Kreta, All-Inclusive-Urlaub, Olivenöl, Olymp, Zeus, Europleite, Antike und Odysseus. Der durchschnittliche Mitteleuropäer verbindet Vieles mit Griechenland. 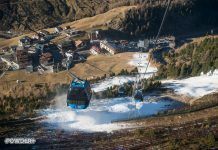 Wenigen Wintersportlern fällt dabei ein bestimmtes der aufgezählten Stichwort ins Auge. 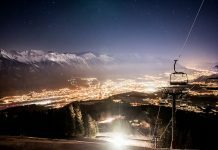 Der Olymp ist das höchste Gebirge Griechenlands und nur wenige Meter weniger hoch als die bundesdeutsche Zugspitze. Hoppla. Na dann schauen wir uns das doch einmal genauer an. Knapp 80% des Landes ist Gebirgsland mit mediterranem Klima und feucht-milden Wintern. Immerhin 19 Skigebiete verteilen sich über das Land. 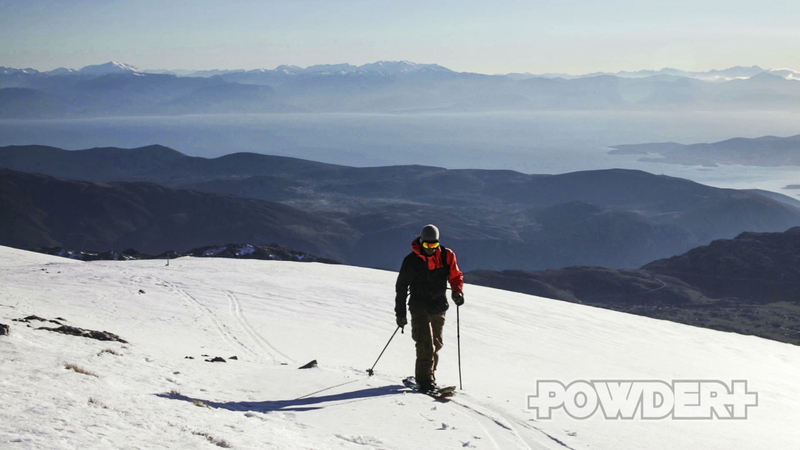 Alexandros Panagakos, skinning up the Southern face of Parnassos mountain in Southern Greece, one of the most beautiful aspects with a view to the Corinthian Gulf. 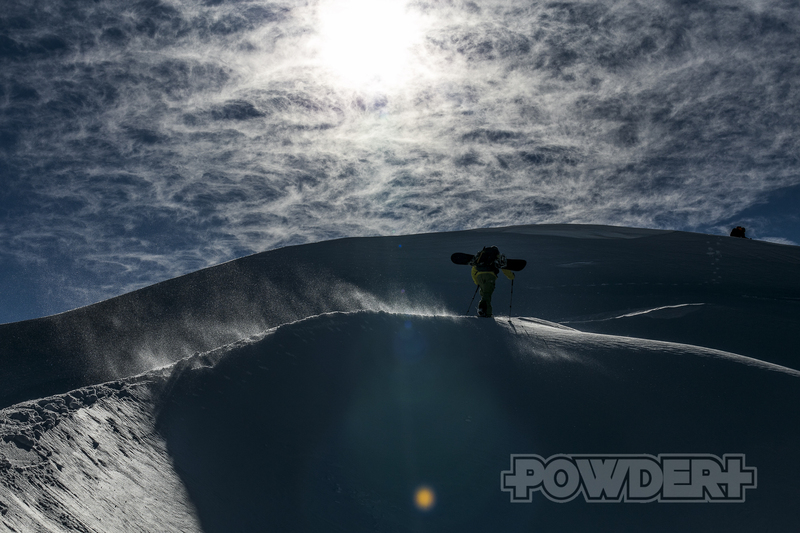 Mentally preparing to drop the chute, George Ouzounis lays his turns down in his mind before navigating the rough snowpack in this late season descent on Parnassos. Hiking up to the top. 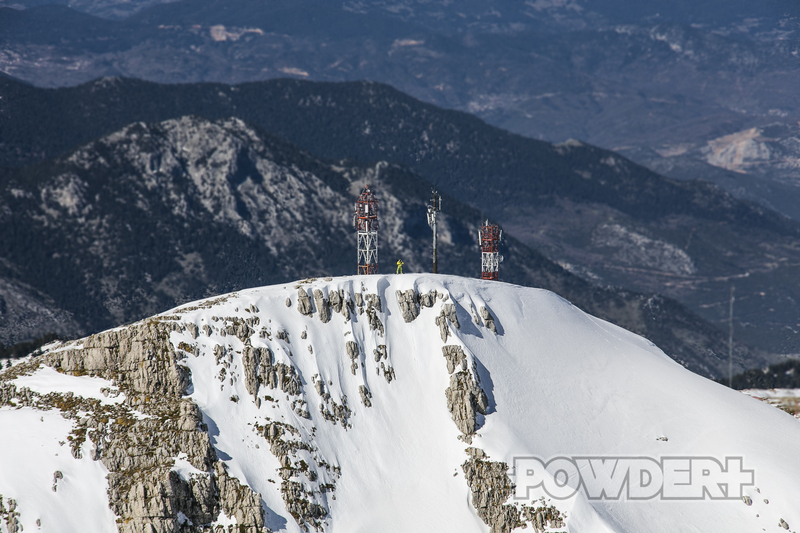 George Ouzounis follows the pack up to the top of Parnassos, hoping to get a peak at the Corinthian gulf on the South side. Alex and George enjoying a long awaited shred down Parnassos Southern Face, after a day’s worth of hiking to get here. Beauty in the reward. Easy Shred. George Ouzounis carves his way down Parnassos’ North-Easterly face, not far from the lifts here. The thing about Greece is… it’s covered in mountains. Plain and simple. 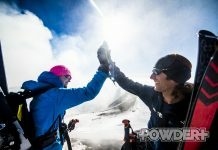 This is a film about the last remaining snowboarders (turned adventurers) in Greece, and their unique situation: having an entire country of mountains to themselves. With one season of filming done, we guarantee you will be BLOWN AWAY by the beauty and potential of the Greek mountains, like we were. This campaign is about helping us fund the second season of filming, and wrapping up this incredible story. Alle Bilder, Videos und Text (Englisch): Jagged Melon Productions, Themistocles Lambridis. Vielen Dank.